Most people experience nausea from time to time, for a variety of reasons. It can be sign of a serious illness, but it is usually a simple stomach upset. It can be related to pregnancy, migraine headaches, acid reflux, indigestion. Natural remedies can provide great relief for the symptoms. Seek medical care for more serious nausea associated with vomiting, fever or other symptoms. Natural treatments for nausea are very helpful for minor cases and can be very effective. 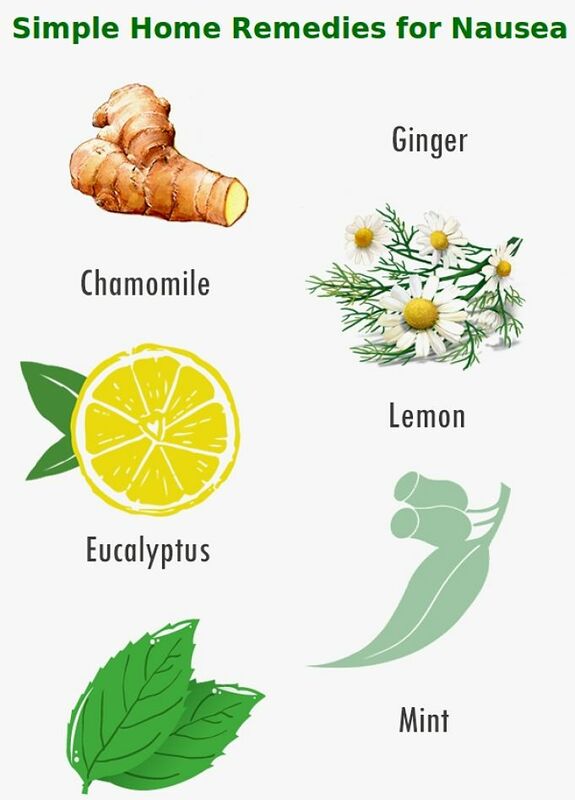 Different methods work for some people and not others and so it is worth trying one of more of the home remedies suggested below. Some of these methods also work for seasickness and other types of motion sickness. 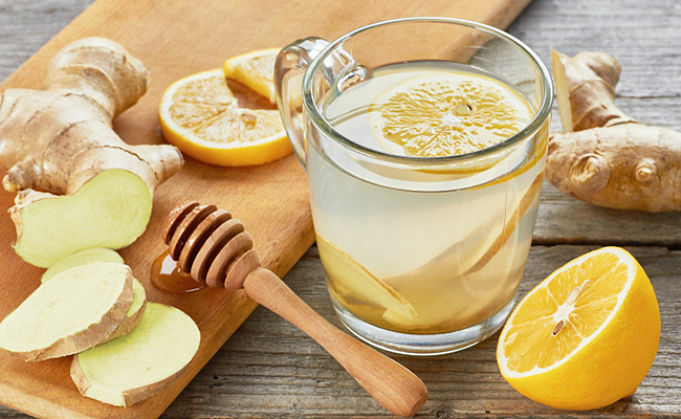 This article provides a summary of the home remedies that many people have found useful for relieving nausea symptoms. Ginger - is probably the most widely used treatment that has been popular for thousands of years to treat stomach upsets and mild nausea. 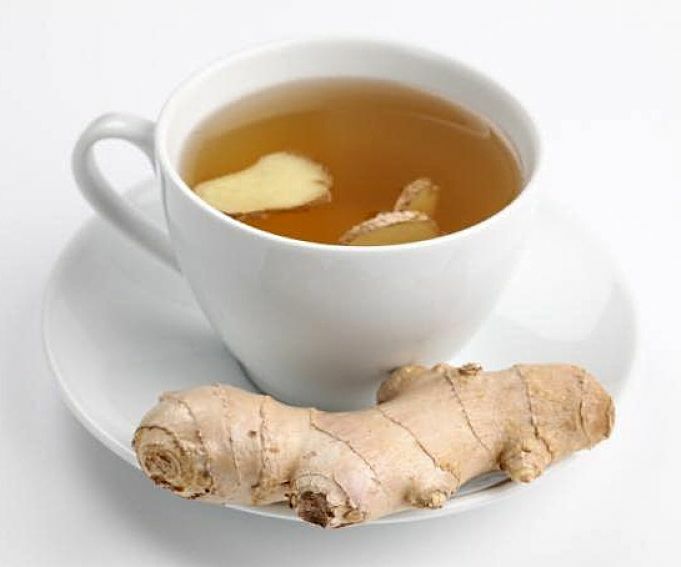 Ginger is very useful for nausea during pregnancy and also for motion sickness. 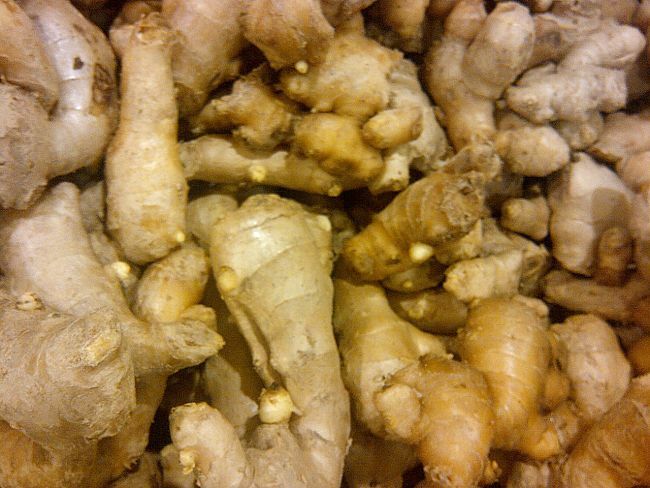 Eat raw ginger in cooking, infuse ginger as a herbal tea, and even eat candied ginger by sucking on it as a mint. 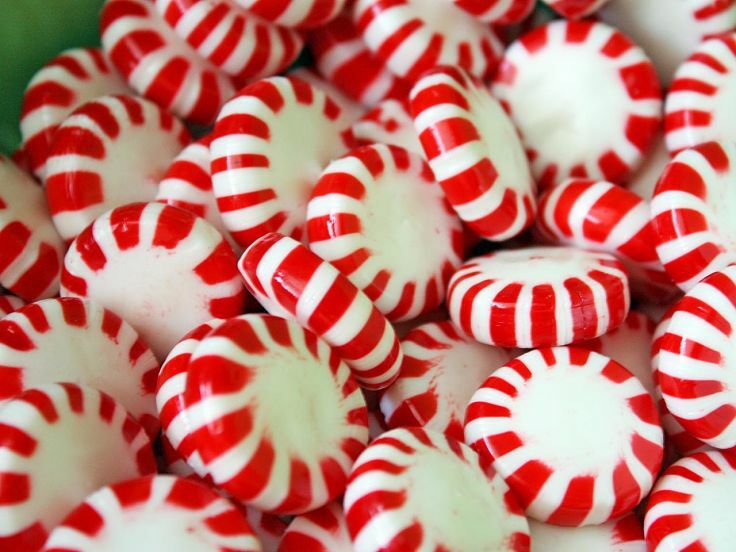 Peppermint - Fresh peppermint, peppermint oil and even peppermint sweets and candy. You can make a peppermint tea or add a few drops into an infuser for aromatherapy. Chamomile Tea - is mildly sedating and soothes an upset stomach. Don't drink the tea when too hot. Allow it to cool down first, and add a little honey if preferred. Orange, Lemon and Lime Soda Drinks - Lemonade and other citrus sodas are the most common remedy for nausea in children. These sodas should be sipped rather than drunk in large amounts. Plain soda water is also helpful by itself, or with freshly squeezed lemon or lime juice and a little honey. Cranberry juice - Cranberry juice is another good option especially after vomiting. Fresh Lemon or Lime juice - Mix a teaspoon of lime juice with a spoon of lemon juice and sip very slowly. Another method is to mix 10 drops of lemon or lime juice with 1/4 teaspoon baking soda and 1/2 teaspoon of sugar or honey into a glass of water or soda water. Cinnamon and cloves - Make a tea by pouring one cup of boiling water over one teaspoon of cloves or one-half of a teaspoon of cinnamon. Strain through a tea or coffee strainer, cool and sip slowly. American Ginseng - is a powerful treatment for both nausea and vomiting. Cumin and Nutmeg - Infuse a pinch of nutmeg and one teaspoon of cumin seeds (crushed) in a cup of hot water, cool, filter and drink slowly. Onion Juice - Sounds odd, but it works for many people. Mix one teaspoon of fresh onion juice with one teaspoon of grated ginger and eat from the spoon. Lavender - is a traditional aromatherapy treatment. Take a small square of some fabric such as a cloth napkin, place two teaspoons of dried lavender into the centre of the cloth. Sprinkle with a few drops of lavender oil. Draw the four corners of the cloth together and secure with a piece of string or ribbon. Inhale deeply from the bag whenever you feel nauseous. Otherwise lavender oil can be added to a aromatherapy diffusers. This also works with peppermint. 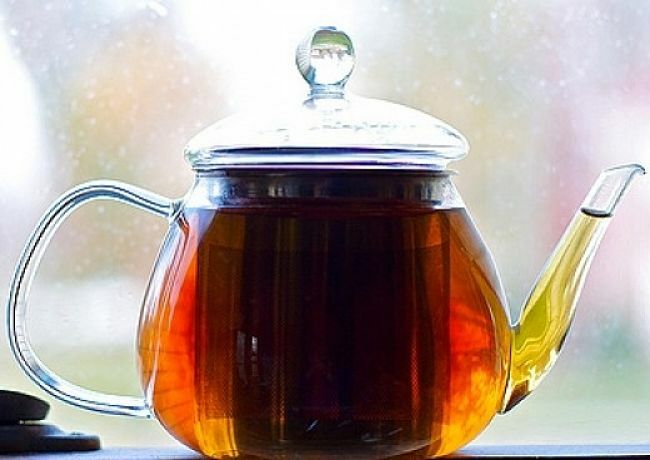 Aniseed - Brew a cup of sweet aniseed tea by pouring a half-cup of boiling water over a quarter teaspoon of aniseed. Let seep for five minutes. Aniseed can also be added to soups. Vinegar - can be used to rinse your mouth out after vomiting. Mix one part white or apple cider vinegar and one part warm water. Gargling or gently swish a mouthful around your mouth and then spit out.